Last night was not only a big victory for Lebron James and the Miami Heat, but for Nike as well. The company already had a commercial put together and ready to go. All they were waiting for was the moment when James finally won his first championship. The swoosh released the commercial last night after the Heat beat the Thunder in Game 5 of the NBA Finals. The commercial is titled “The Ring Maker,” and it portrays a jeweler slowly crafting a championship ring for James. The crafting begins when the jeweler sees LeBron playing as a high schooler, and it follows him throughout the major accomplishments of his career thus far. The ring is finally completed on the night that James wins the title that he has waited so long for. The commercial emphasizes the path that James has taken to becoming a champion, and that Nike was there with him along the way. LeBron James is one of Nike’s most popular athletes in the world. He already has his own shoe line and clothing line through them, two Olympic medals and multiple other awards and honors. All he needed was a championship. Now that he’s finally won his ring, his marketing appeal will most likely skyrocket. It is safe to say that he and Nike are both absolutely ecstatic about this victory. 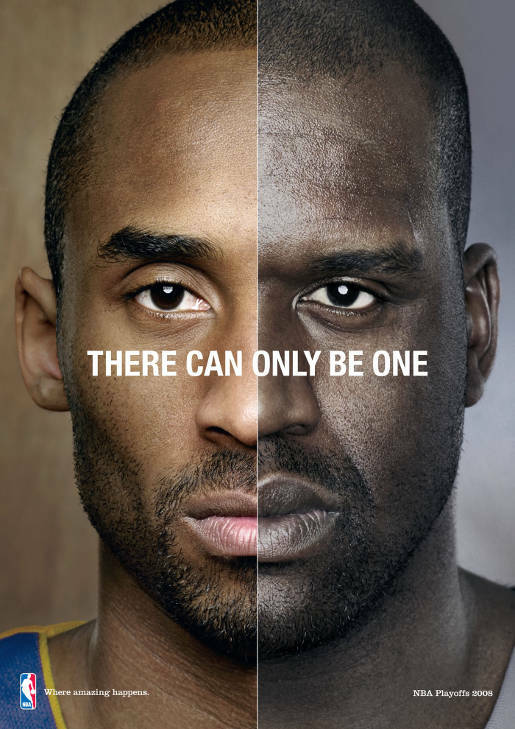 In my opinion, the NBA has always had the best ad campaigns, at least in comparison to other American sports. The campaigns almost always use a dramatic buildup and have a cinematic quality to them which I just love. “BIG” is the word of the NBA’s latest commercial campaign. Since the playoffs began it has replaced the famous “Where Amazing Happens” campaign. The funky, minimalist commercials have featured the different teams playing and discontinued them once the team was eliminated. The Finals commercials include two 30-second commercials featuring the Oklahoma City Thunder and Miami Heat and a 60-second commercial that features both teams as well as great players throughout the history of the sport. “It’s not a game or a sport or a series. It’s a shot at immortality, but it’s not just one team against another. It’s two teams against all who have come before. The legends, the giants but history won’t give – you must take, because the past is present and it’s setting the tone. The famous five-year campaign presented the NBA the way its most enthusiastic fans see it- as a place where the greatest athletes in the world do things that none of us can even approach. It was created in 2007 as a branding effort to improve the image of the NBA after numerous fights and drama involving players and a referee gambling scandal. The NBA promoted the 2008 Playoffs and Finals with this highly integrated ad campaign that involved interactive, print and film components. The campaign was such a cultural hit that it resulted in knockoff spots on “Saturday Night Live” and on the cover of Time magazine with Barack Obama and Hillary Clinton. My all-time favorite commercial came at a time when there was no basketball, and nobody was sure when it would be back. Jordan Brand’s “Love the Game” shows Dwyane Wade, Chris Paul and Carmelo Anthony jumping around leagues playing the game they love, despite a lockout. I can recall watching this commercial for the first time during the World Series, and screaming with happiness from seeing basketball for the first time in six months. Major League Baseball’s got nothing on the NBA! LET’S GO HEAT! Only one more win until the parade on Biscayne!